Again the Israeli entry has been chosen in the HaKokhav HaBa L'Eurovizion show (The next star for Eurovision). 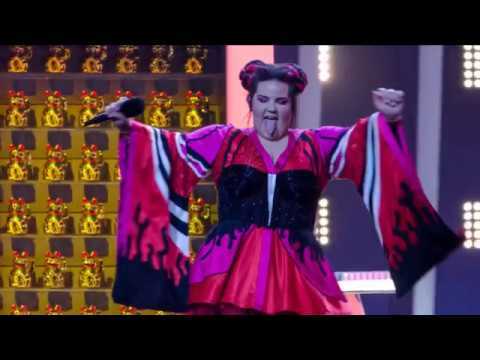 After various episodes and run-offs, the winner was declared: Netta with the song “Toy”. One interesting fact happened last year during the voting procedure. As the Israeli jury spokesman Ofer Nachshon has also announced that Israeli broadcaster IBA will be closed just right after the show. The Eurovision Song Contest was the last show IBA has broadcasted. Before the IBA has been into trouble and the structure should be changed completely. The broadcasting existed from 1965 – 2017. Now the replacement is made with Kan (Israeli Public Broadcasting Company), which is a full member of the EBU. So a participation at the ESC can be guaranteed. 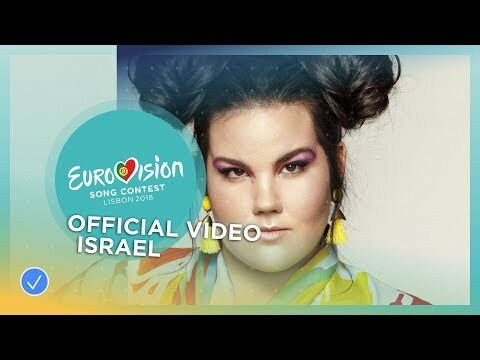 The singer Netta Barzilai was born in Hod HaSharon, north of Tel Aviv in 1993. The Georgian family also moved to Nigeria for four years, but they have returned to the place Netta should grew up. Netta is specialized in singing, guitar and synthesizer. During her military service she was joining the navy band. Later on she was the house singer in the Giora Club in Tel Aviv. Netta also appears as an actor at theatres and on TV. The composer Doron Medalie has already written the Israeli entries in 2016 (Made of Stars, #14) and 2017 (I Feel Alive, #23). Additionally he is also involved in this years composition for Cyprus together with Stav Beger. Doron is very popular in Israel and has composed the city anthem “Tel Aviv Ya Habibi”. “Toy” is the ambiguous title of the extraordinary Israeli entry. From the first not of the song the listener will get a premonition of what to come. It’s quite a shrill and extrovert song which will probably appeal the most to the younger crowd. Especially Netta’s chicken imitation and movements appear a bit weird. The whole combination of the unusual song with the charismatic singer is a special case. Many people believe that this could be the winner, but others can’t get this song. This will Israeli entry will definitely polarize and could get any place. This year Israel will participate for the 41st time in the Eurovision Song Contest. Israel joined the Eurovision Song Contest in 1973. The debut entry “Ey-Sham” by Ilanit made a very good 4th place in Luxembourg. Since then, the Israeli entries brought a new energy in the contest full of good music, dance and joy. In the ESC history of Israel there were many strong, outstanding and unforgettable songs. Within the past 40 years, Israel has been in the Grand Final for 34 times, and reached the Top10 for 19 times. The chance to reach a Top10 place for Israel lays at 46% statistically, which above the average. Three times Israel could win the Eurovision Song Contest. One year after the first victory of Izar Cohen & The Alphabeta with “Abanibi”, Israel won successively with “Hallelujah” by Gali Atari & Milk & Honey on home ground. The extraordinary victory of the Dana International was legendary, when she sang her anthem “Diva” in Birmingham 1998. Israel is also popular for great choreographies, especially in the 80’s and 90’s the traditional formation dance was strongly used in the Israeli contributions and has been mimicked from other countries later, but not as successfully. The traditional “Hora” dance has become a new dimension, when this was the name of the 1982 entry sung by Avi Toledano (2nd place). The contest is enjoying a great interest in Israel and has huge viewing figures every year. Due to the introduction of the Semi Finals in 2004, Israel is not always among the finalists, out of 14 times, Israel could only qualify eight times, last year “I Feel Alive” by Imri Ziv, made a 23rd place in the Grand Final in Kiev. 2018-08-13 - What about Israel next year? 2018-05-30 - Where will the 2019 ESC take place?